Solar Plants are specialist installers of solar PV panels covering the South West of England and South Wales. Shortly after startup, with a rapidly expanding customer base, Solar Plants identified a need for a customer database, whereby they could record contact history, order details and any remedial work required. 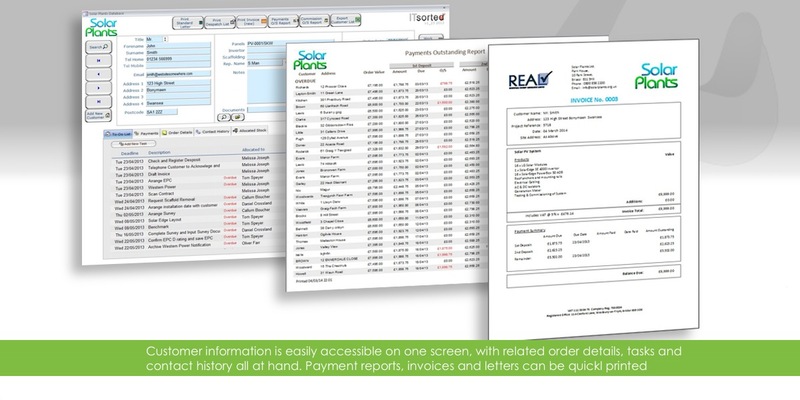 IT Sorted developed a bespoke database, enabling rapid access to customers by flexible searching and having all related information available on an easy to use screen. 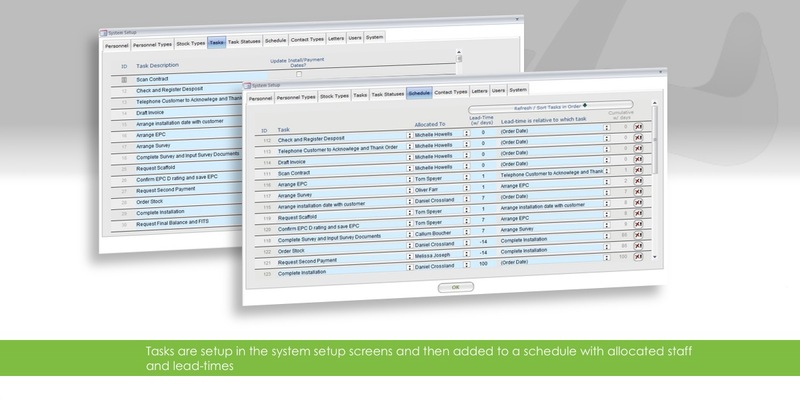 As well as this, a smart scheduling system is built-in which allows processes to be setup for each order with set lead times for different tasks. As new orders are entered, a comprehensive list of tasks is created, allocated to specific staff and with calculated target dates. 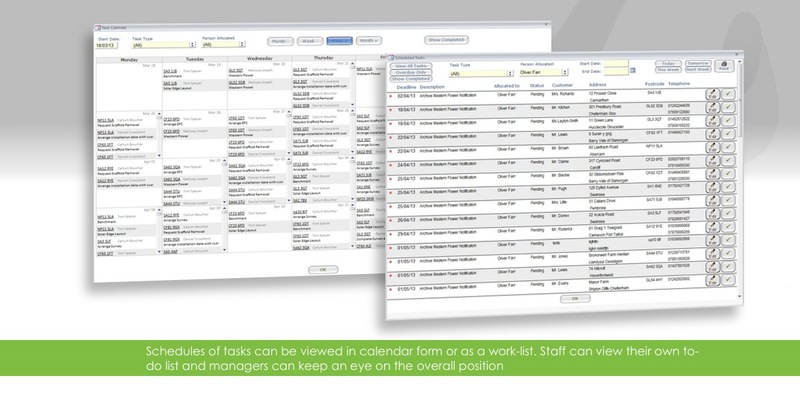 This allows managers to see the status of orders and catch potential delays, and staff to manage their work-load using prioritised to-do lists. With the addition of standard letter production and numerous reports such as payments outstanding and commission due, Solar Plants now has an efficient database controlling the whole sales process.